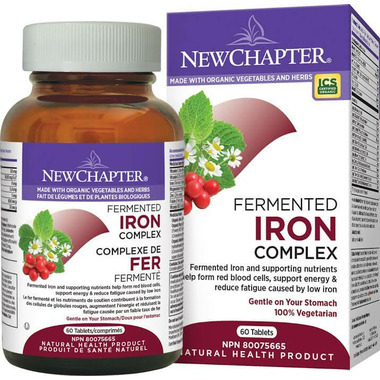 New Chapter Iron Food Complex delivers whole-food fermented Iron along with numerous blood-bonding minerals and vitamins for blood health support. It is an easy-to-digest and convenient tablet that can be taken on an empty stomach. Fermented Iron and supporting nutrients help form red blood cells, support energy & reduce fatigue caused by low iron. A combination of whole-food complexed Iron and blood bonding vitamins and minerals come together to help support hemoglobin and myoglobin levels. It is a good source of dual-fermented Iron ideal for periods of blood loss including menstruation. 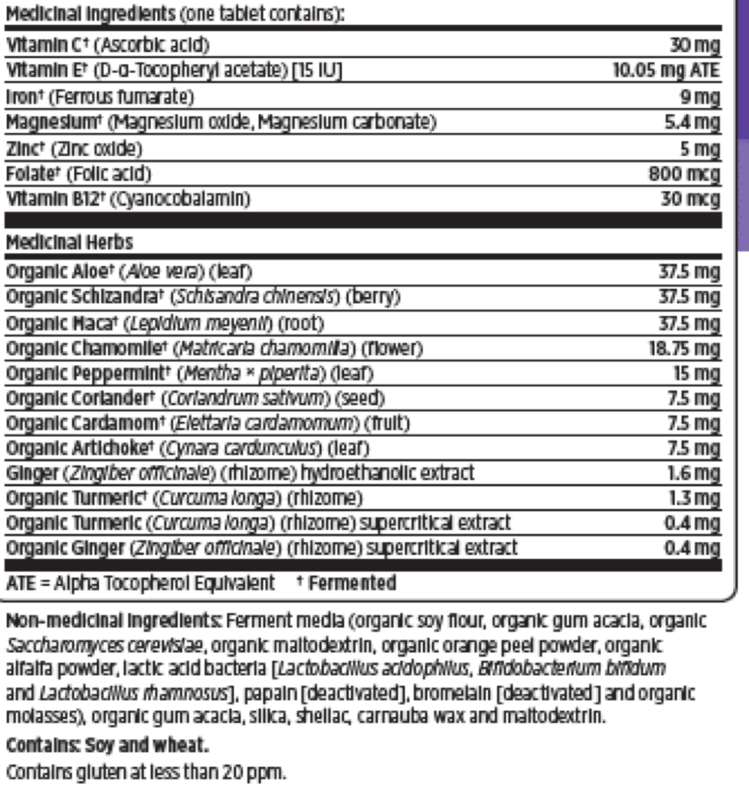 Other ingredients: Culture media (organic soy flour, organic gum acacia, organic Saccharomyces cerevisiae [active and inactive], organic maltodextrin, organic orange peel powder, organic alfalfa powder, lactic acid bacteria [L. acidophilus, B. bifidum, L. rhamnosus], papain [deactivated], bromelain [deactivated] and organic molasses), organic gum acacia, silicon dioxide, magnesium oxide, lac resin, carnauba wax and maltodextrin.